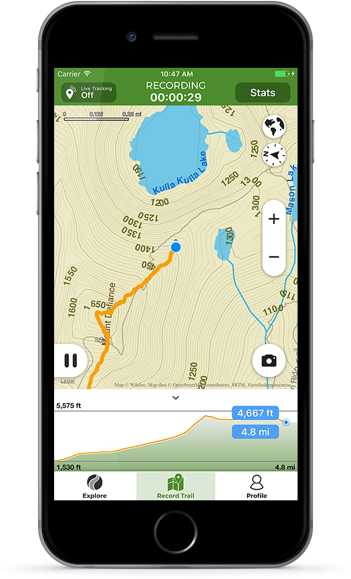 The Outdoor Navigation App that lets you track your hiking, cycling and more activities with GPS and navigate along 11,647,688 trails worldwide. 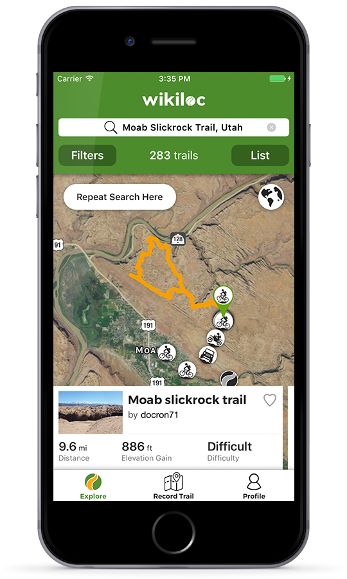 Find the ideal trail for your next activity with filters such as mileage, elevation gain or also narrowing the area that interests you with the map. 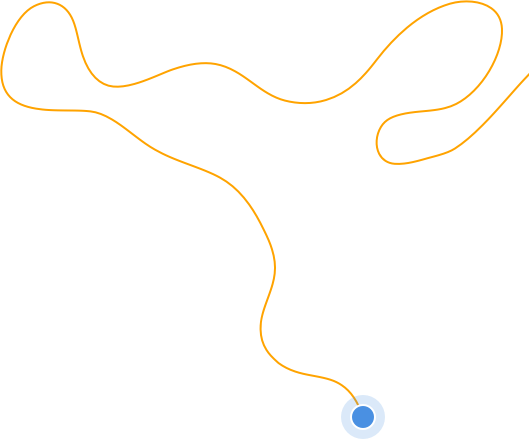 Internet needed for in-app trail search & saving. 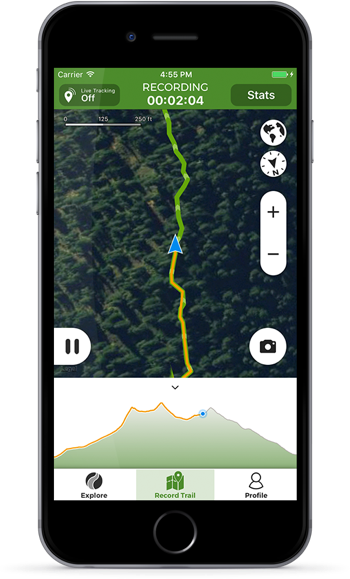 Record your outdoor activities on a map, get real-time statistics like speed, distance and elevation profile graphs, take photos and waypoints along the route and upload all of it directly to Wikiloc. Offline recording and in-app saving. Internet needed for upload. 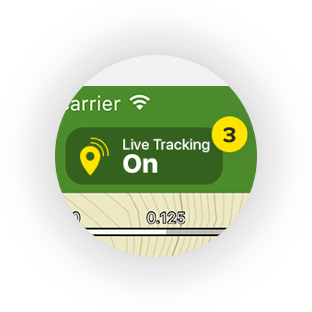 Wikiloc Premium lets you explore and discover the best trails near your location and follow them with aids like heading indicators, compass and audio clues that alert you when you go away from the trail. No internet needed! 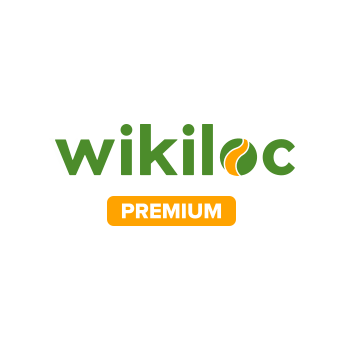 Wikiloc Premium is available as an in-app purchase within the free App. 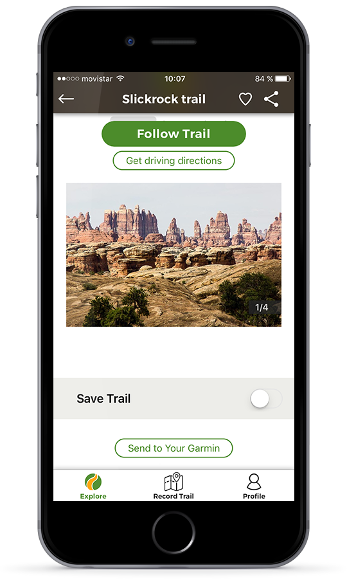 Internet needed for in-app trail search & saving, also for offline maps downloading. Once saved, follow trails on maps even offline! Now, who you decide will be able to see where you are while you are doing your route. Are you doing it on your own? Activate Live Tracking for your friends or family and they will have you located. Are you participating in a race? 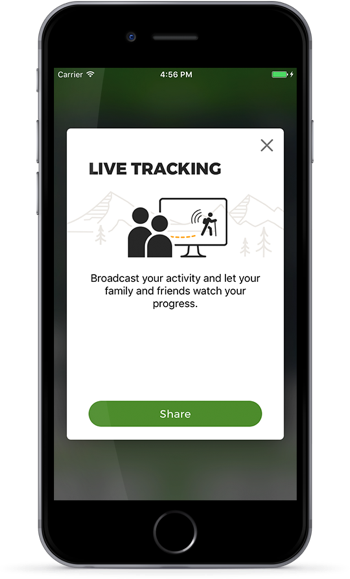 Activate Live tracking to let them know what stage you are on, or if you are about to reach the finish line! 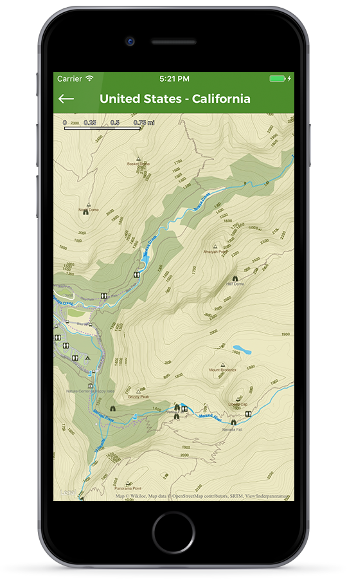 We’ve designed offline maps for you to enjoy the great outdoors all over the world with elevation data and features you care when you’re off the beaten path like peaks, lakes, creeks, water sources or mountain huts. 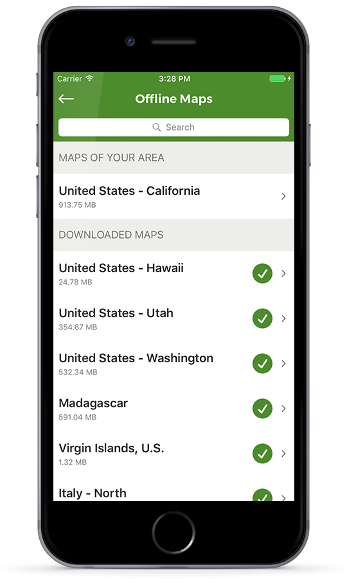 Once downloaded, maps are stored on your smartphone and will work even without Internet access. Ideal in areas with poor data access or when traveling abroad. Our intention is to provide you with free offline maps of every corner of the World. If you can’t find maps for your location, please let us know and we’ll try to create maps for your area. Who was with you on the trail? Share your activity with your real friends. 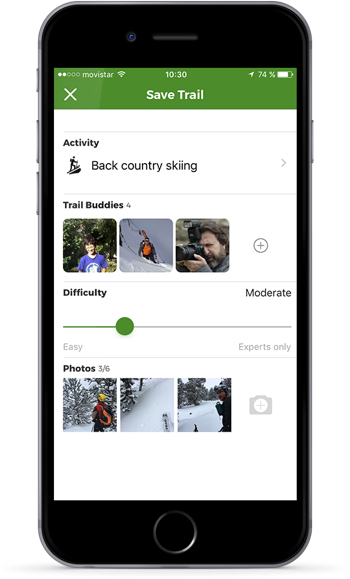 Once you’ve finished recording your activity you can share it with your trail buddies that were with you on the trail. That way the trail will also appear on their profile's list of trails they’ve participated. In addition to your close buddies, you can also let your social circles know about your adventure by sharing your activity on Facebook and Twitter. 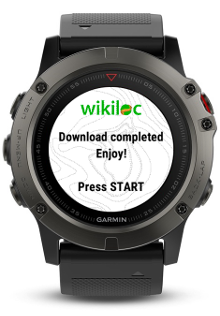 Download trails from Wikiloc directly to your Garmin in the easiest way possible! Feature available with Wikiloc Premium and for compatible Garmin devices.  Find trails starting or passing through your chosen specific areas. Perfect to plan your next route with those essential must-sees. Find trails only from people you are following. Filter by recording date (last month, quarter, year). 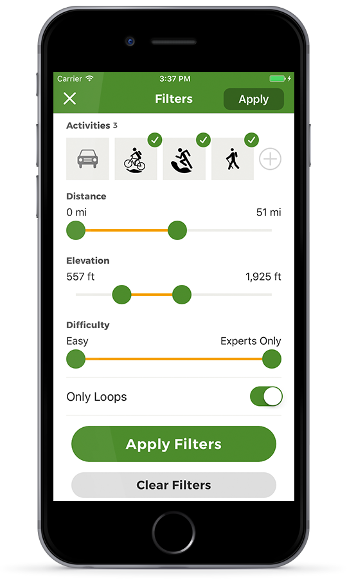 Filter by recording month: mark one or more months to find trails recorded in a specific season. Check the weather prediction for a perfect outdoor activity. A great hint to help you choose your outdoor gear and clothing! We all have that friend who shares great trails. Now search trails only from his profile. Like it? Get it now! Available in English, Spanish, Catalan, French, Italian, Portuguese, German & Dutch.